Network Fail-over, Routing, Security and Monitoring. We are investing in new infrastructure and services to bring our campus network up to Enterprise level capacity. At the conclusion of this project, network components will be replaced so that none of the equipment is more than two years old. We will be doubling our bandwidth from 200mb/s to 400 mb/s on the main campus. To ensure the satisfaction of our on-campus students, we are bringing in OARnet so that Netflix streaming will no longer be capped by our network speed. We will have built in fail-over between the main campus and OCUBIC, so that if our service provider goes down, we won’t be without internet. There will be new tools to track network issues so that we can create permanent solutions to resolve them going forward. This will bring increased stability, better coverage, and better speed for everyone. 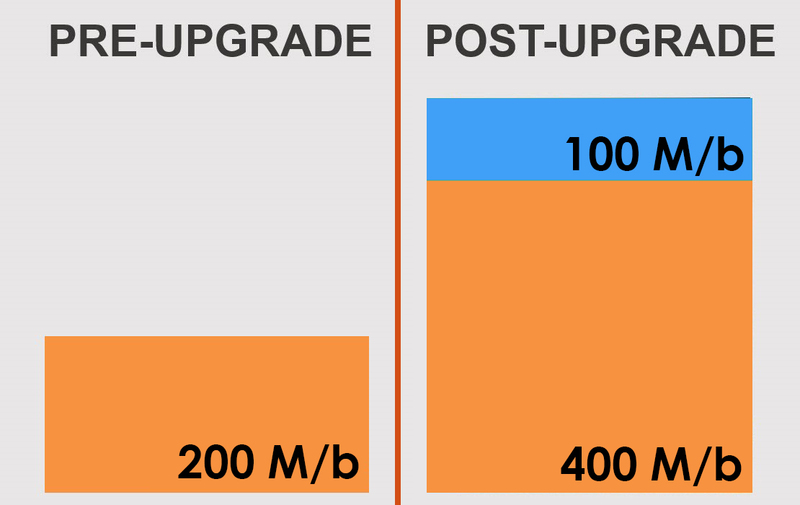 We are doubling the bandwidth of our main campus from 200mb/s to 400mb/s. By doing this and taking Netflix traffic out of our regular bandwidth it means we’ll be able to do far more than just twice as much. Gone will be the days of waiting to download a file in a classroom, or having a video buffer when you’re trying to present. We have set up a fail-over for our network by installing brand new Meraki Core Switches in both the Main Campus and OCUBIC. This allows us to fail over from one to the other. If Spectrum were to go down, the Main Campus switch would automatically fail over to the OCUBIC switch and it’s network through Frontier. The reverse is also true. For our remote locations, this means that they should be able to access everything as normal, even with an outage. We have updated the wireless access points through out campus, and have added network traffic logging. This will allow us to see which places need more bandwidth and deploy targeted improvements going forward. 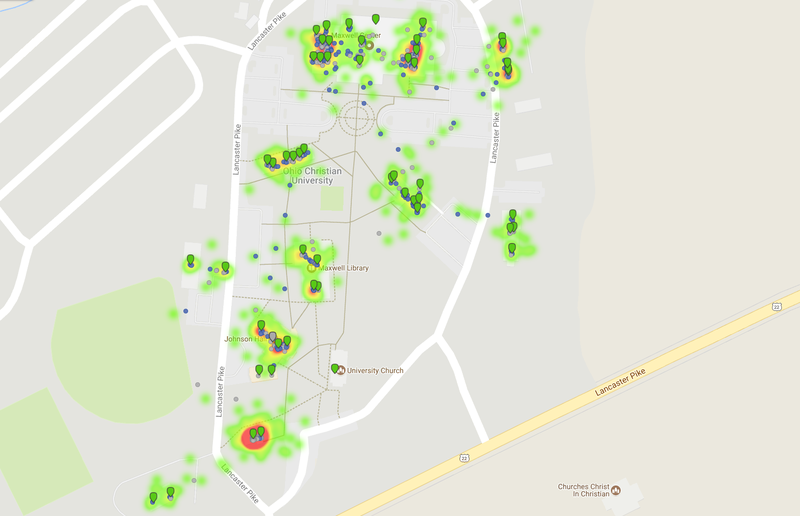 We have also invested in wireless troubleshooting devices like the Netscout AirCheck G2 that allow us to find dead zones, interference and performance around campus so we know where to increase the coverage. We are working to increase WiFi coverage by more than 18% this year alone. This includes outdoor access points in common areas. 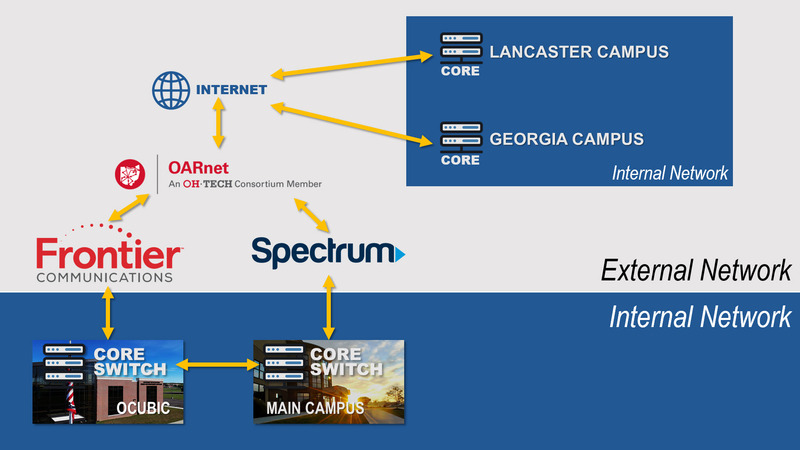 A benefit of partnering with OARNet, students on our network will be able to stream Netflix, Hulu, Amazon, and other content without affecting our total bandwidth. This means that media streaming won’t be competing with other network traffic. Currently, about half of our bandwidth goes to media streaming. In the new system, we’ll have that same bandwidth dedicated to streaming, without affecting the 400mb/s dedicated to other tasks. No More Buffering! No More Slow Internet!